Imperial is a majestic purple with scattered holo, blue glass flecks and a smattering of small gold hex glitters. 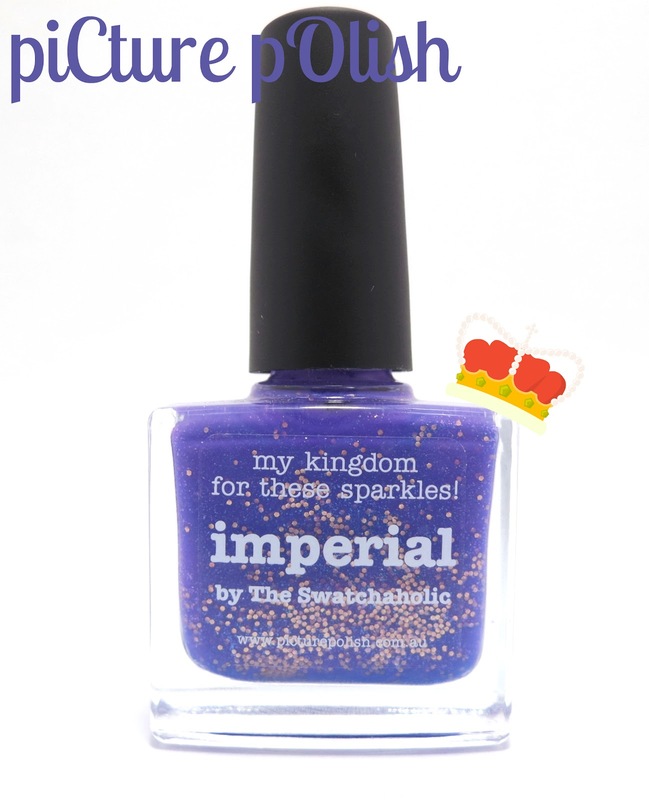 This shade was created with Jeanette from The Swatchaholic. Read more about the inspiration behind it in her blog post here. All nails are 3 coats with top coat. Purchase piCture pOlish through their online store, Overall Beauty, Norway Nails and many other online retailers! Be sure to follow piCture pOlish on Facebook, Twitter, Instagram and Pinterest!